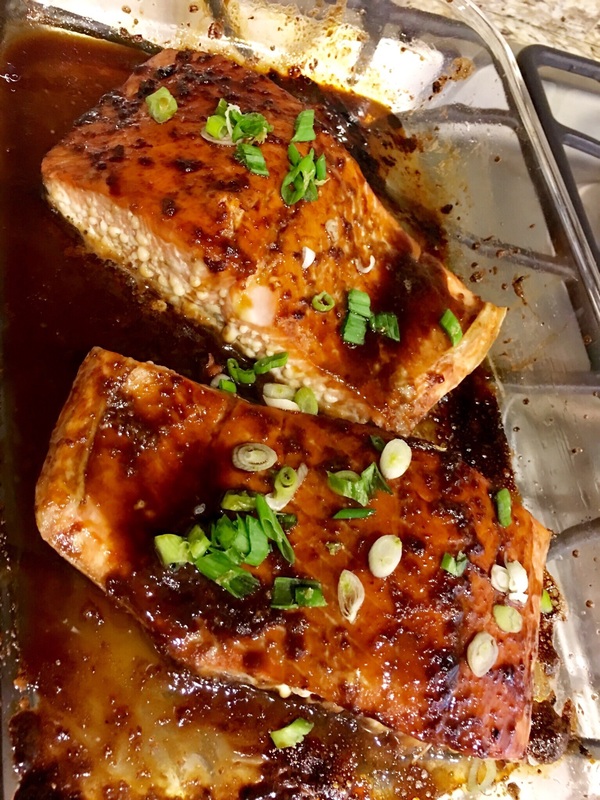 Marisa loves salmon and requested some for her dinner choice night and of course I was happy to accommodate since no one at home ever requests salmon although I think that grandpa might enjoy this recipe since it is so Asian saucy. I found the recipe over at Food52 an unbelievable source for fabulous recipes and especially the “genius” recipes. While I was tempted to substitute the red wine for white I decided to go with it in the glaze ingredients and didn’t change anything in the recipe…one note it did take another 10 minutes or so to finish. I might give this a try with a nice fresh piece of Mahi mahi that a friend brought by, why not? I’m also tempted to make the glaze for an Arctic Char as well although the cooking times will vary for both, but more on that later. 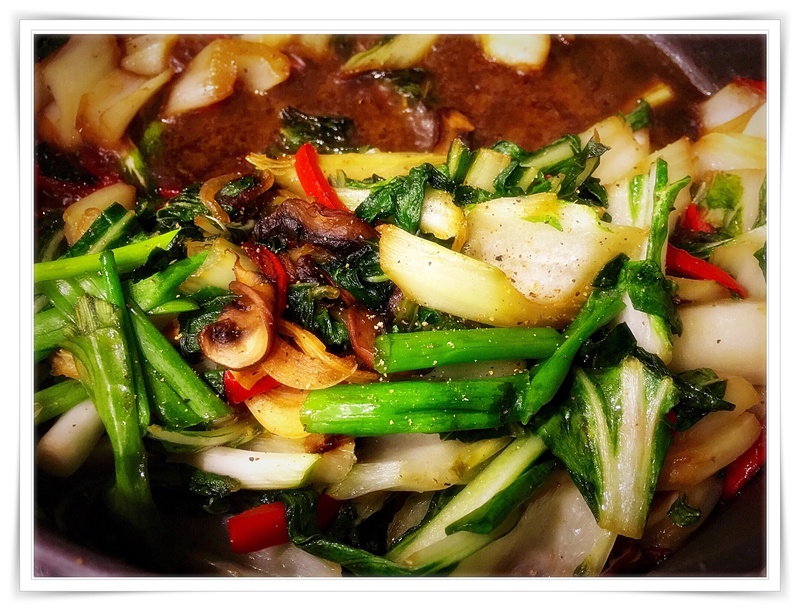 A favorite side dish is a sautéed baby bok choy recipe that I often make (on the menu tonight as a matter of fact) a Guy Fieri recipe that is very adaptable to regular bok choy if necessary…links below for both recipes. Add the soy sauce, red wine, mirin, brown sugar, garlic and 3/4 of the ginger in a sauce pan. Cook for 10 minutes and reduce by half. Remove from heat and add the remaining ginger and the lime juice. Cool…lightly oil the bottom of a baking dish with the olive oil and place the salmon in it, skin side down. Spoon a tablespoon or so of the glaze over the fish and wait 5 minutes. Spoon another tablespoon of the glaze over the fish. Bake for 10 minutes at 250º. Spoon another tablespoon of glaze over the fish and return to the oven for another 10 minutes. Continue to do this until the fish is cooked to medium rare. Garnish with the scallion and serve.